Infectious diseases have been cause for great concern among travelers recently. A few weeks ago the National Park Service advised recent Yosemite National Park visitors to seek medical attention. Eight visitors have been diagnosed with Hantavirus Pulmonary Syndrome. Tragically three people have died from the virus and it has caused many travelers to take extra precautions. Contracting illnesses while traveling is not a rare occurrence. According to the New York Times, 15 to 45 percent of travelers experience a health problem associated with their trip. The statistics are even higher when the travelers visit developing countries. The three most common illnesses include Montezuma’s revenge, malaria, and hepatitis A.
Montezuma’s Revenge. Forty percent of travelers to developing areas become inflicted with Montezuma’s Revenge (or traveler’s diarrhea). It’s caused by food and water contaminated with bacteria like E. Coli and Salmonella. The symptoms (vomiting and irritated bowel movements) can last three days to three months. Malaria. This infection affects 350 to 500 million people worldwide, causing 1 million deaths per year. It’s transmitted through infected female mosquitoes. Travelers frequently come down with Malaria in Africa, Mexico, South American and South Asia. The symptoms include fever, chills, and headaches. 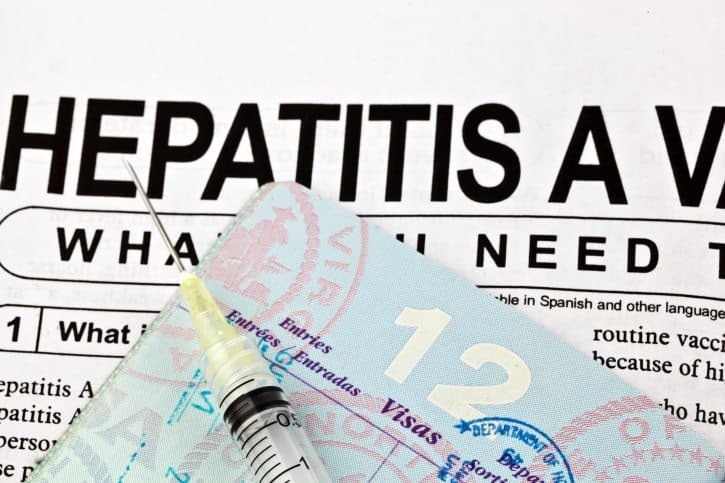 Hepatitis A. This is one of the most common “vaccine-preventable travel diseases.” Most travelers come down with the illness after visiting Mexico, Central America, and South America. It’s transmitted through person-to-person contact and contaminated food and water. Some of the symptoms include fever, nausea, and abdominal pain. If you’re taking a trip and you’re concerned about your health, consider taking general precautions. Listed below are some tips to keep these top international travel diseases at bay. Pre-trip checkup. Before your trip visit your doctor or a travel medicine specialist (since they keep up with diseases in other countries). Ask them about vaccines and drugs that will prevent such illnesses like malaria and hepatitis A. Research. Look up nearby medical services in the area you’re visiting. Pack well. Bring along supplies like Pepto-Bismol for traveler’s diarrhea and long-sleeved clothes to avoid Malaria-ridden mosquitoes. Be careful. Take special consideration of your hygiene, meals and water intake while you’re traveling. Post-trip checkup. Upon your return consult with your doctor if you’re feeling ill or came in contact with an ill person while on your trip.